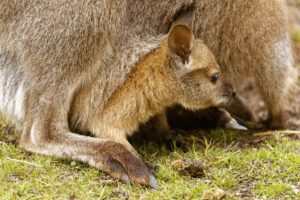 Keepers at Twycross Zoo have announced the spring arrival of two red-necked Wallaby joeys – perfect timing for the Easter holidays. Native to Australia, red-necked wallabies are marsupials, which means that they have a very short gestation (pregnancy) after which the offspring moves to the female’s pouch to continue developing. 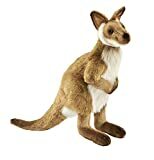 The ‘joey’ will stay in the pouch for as long as 130 days. 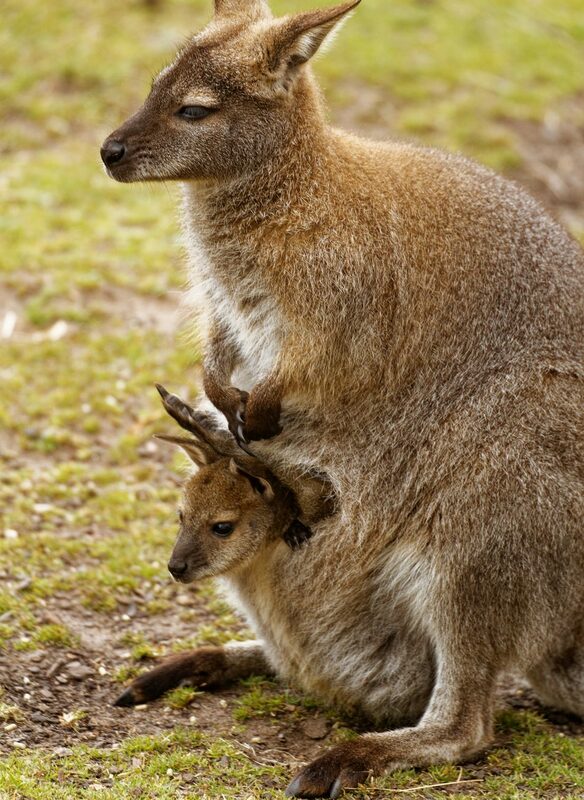 The newborn wallabies can be found skipping around their habitat at the Leicestershire wildlife park, under the watchful eyes of doting mums, Sydney and Adelaide – or relaxing in their protective mothers’ pouches.